Welcome to the Keystone State Boychoir blog, where we will keep you informed of the latest news, events and stories about the choir. Philadelphia – Seventeen new Keystone State Boychoir members felt the excitement and the honor last weekend as they donned their new green jackets, awarded on stage during the "HarP! the Herald Angels Sing" holiday concert at The First Presbyterian Church in Germantown on Sunday, January 6. The boys worked hard over the last sixteen weeks to earn their coveted jackets. They performed in their jackets for the first time and were aglow as they took the stage with fellow KSB members, choir directors and talented harpist and KSB alum Jordan Thomas, a Peabody Conservatory senior who accompanied the choir. KSB is the only choir in the world to have toured all seven continents. In 2009, KSB made history as the first choir to perform in Antarctica. More recently, KSB sang at a ceremony in Oslo, Norway for Nobel Peace Prize-winner Aung San Suu Kyi and presented her with a Liberty Bell. Internationally, KSB has performed in the world’s major concert halls, including the Manaus Opera House in Brazil, the Petronas Philharmonik Hall in Malaysia, and the Hanoi Opera House in Vietnam, as well as in venues throughout Canada, Brazil, Chile, South Africa, Japan, Thailand, Cambodia, Vietnam, Malaysia, Australia, Monaco, France, Germany, Austria, Bulgaria and Norway. 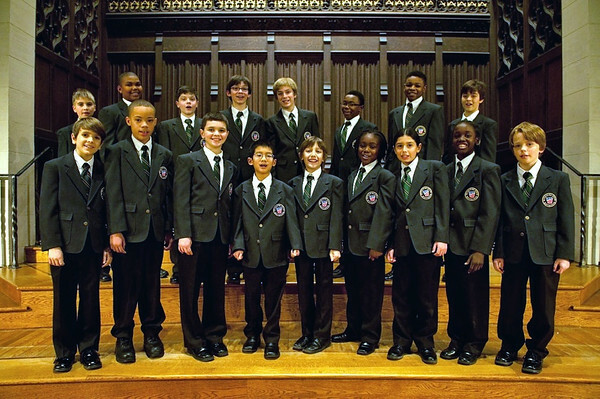 On Sunday, March 10 at 3pm, the Keystone State Boychoir will perform at Chestnut Hill College, Mount Saint Joseph Convent Chapel, 9701 Germantown Avenue. For tickets call 1-800-482-6510. The concert benefits the retired Sisters of Saint Joseph. For information about KSB, call Lori Flynn at 215-287-7039 or visit the website at www.keystonestateboychoir.org. KSB brings together 170 boys, ages 8-18, under the direction of Joseph P. Fitzmartin and Steven M. Fisher. The Keystone State Boychoir encourages and welcomes boys of all experience levels to audition for the choir. The 17 new members of the Keystone State Boychoir pictured here are Levi Veleanu, Lucce Guido, Christopher Buonomo, Justin Lloyd, Tamir Oliver, Frank Schenck, Justice Austin, Damir Richardson, Ralph Mitchell, Nathan Rinaldy, Noah Welsch, Leo Kates, Ian Brown, Seth Pakrtika, Maxwell Donches, William Madonia and Paul McDonnell. The boys come from a variety of neighborhoods in Philadelphia and the suburbs.